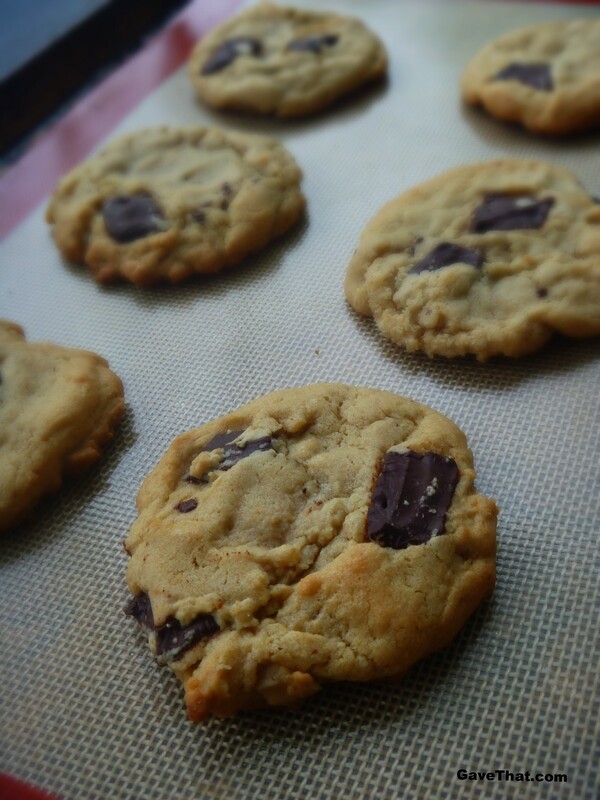 When it comes to Grandma's cookies, these have to be the closest I have come yet to capturing her magic. How do Grandmother's do it? Of course I had to share the recipe here as these are too good to keep to myself. Thick with an almost cookie dough layer in the center, these have chunks of dark chocolate thanks to a chopped up dark Endangered Species chocolate bar. 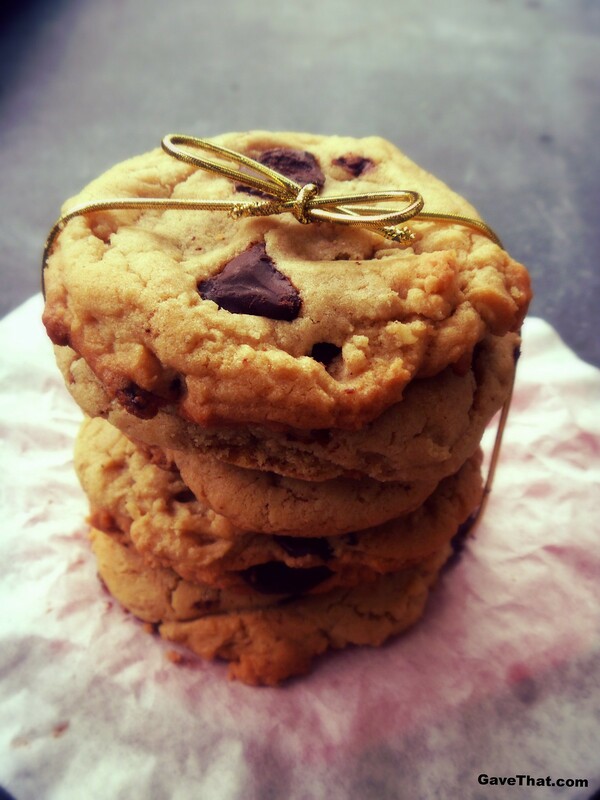 Using natural chocolate is definitely one of the secrets to baking gourmet tasting cookies at home. 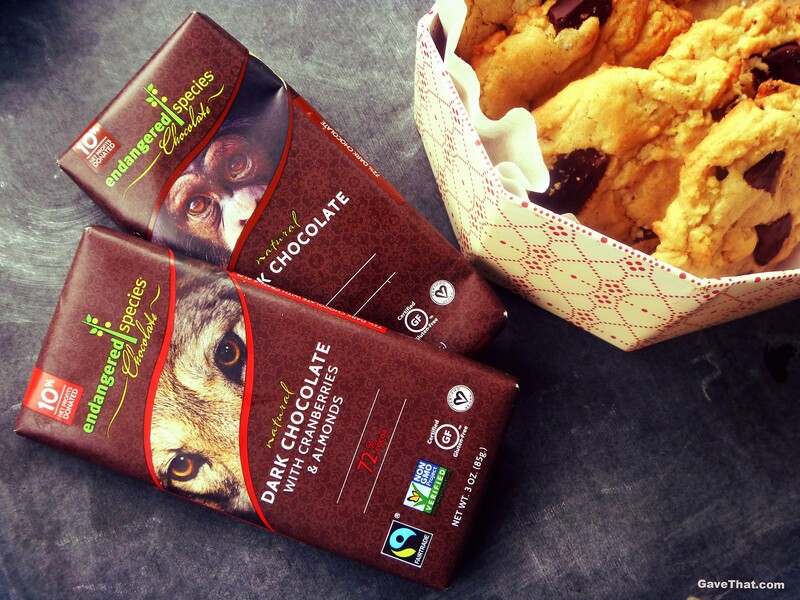 This chocolate happen to give back 10% to conservation efforts and melts beautifully. 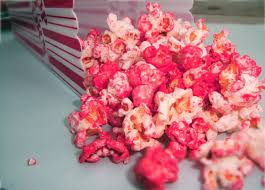 For added crunch and flavor, flaky pretzel salt was sprinkled on top. Along with good chocolate, plenty of vanilla and coffee, something else that has seriously improved my cookie producing prowess has been silicone baking mats. For a couple of years now my favorite have been ones by Silpat but I've found other baking sheets that work just as well for less of an investment including these here. 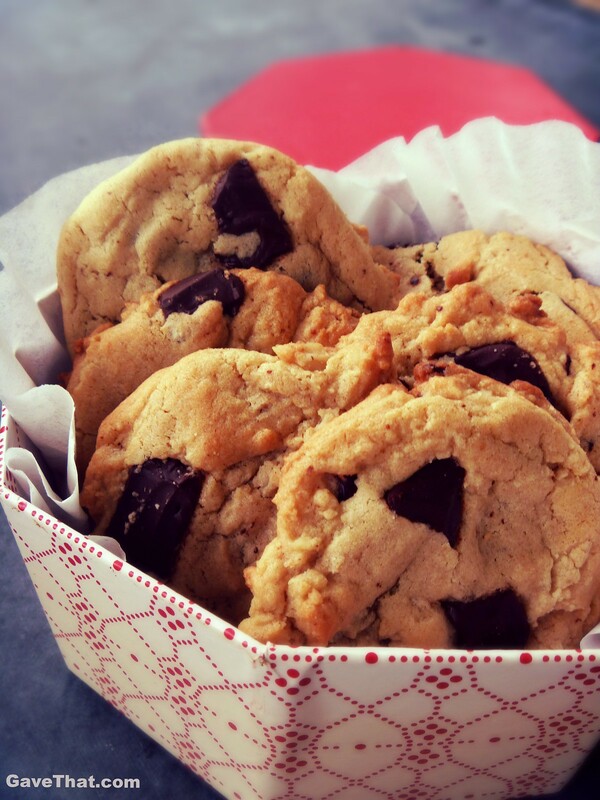 Thick, chewy and decadent these chocolate chunk peanut butter cookies have a few flavor twists thanks to unorthodox secret ingredients. Feel free to swap out the peanut butter with sunbutter &/or the coconut oil for butter. These cookies will come out just as good. Soften butter and allow eggs to come to room temperature. Preheat your oven to 375 degrees F.Cream together butter, coconut oil, peanut butter and sugar until welled blended. Add eggs and vanilla extract, blending well.In another bowl combine rest of dry ingredients and add to wet ingredients. Still just until a thick dough forms and all dry ingredients are incorporated. Add chocolate. Do not over mix.Drop balls of dough using a tablespoon measure and slightly flatten. Sprinkle with flaky pretzel salt if using. Place in oven for 10 minutes. Remove and allow to cool on the pan for 5 minutes. Store in an air tight container.